Enjoy reliability and amazing picture quality. TV is best on the 100% fiber-optic network. Verizon Fios TV is an entirely new TV experience, using the 100% fiber-optic network to bring you crystal-clear picture quality and hundreds of channels, many in HD. Because Fios TV comes to you through fiber optics, it provides a clear picture and works fast and efficiently. 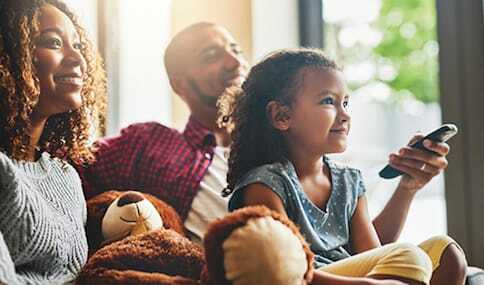 Fios TV customers can choose a customized channel plan or a traditional plan that gives them access to the channels they love. Why pay for channels you never watch? With Fios Custom TV, you can choose a plan with the types of programs you love, not the ones you don't. When you opt for this plan, you can choose genre bundles like Lifestyle & Reality, Kids & Pop, Sports & News, and much more—all depending on what you watch the most and what your household needs. Do you enjoy all genres equally or prefer more variety? 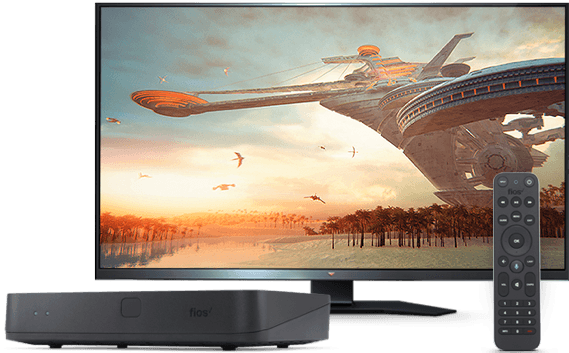 Verizon Fios TV plans come with an excellent range of channels for any household size, ensuring everyone always has a station to watch. Packages include Preferred HD, Extreme HD, and Ultimate HD, each with more channels so you can always find something to watch. Find your preferred Fios TV package. 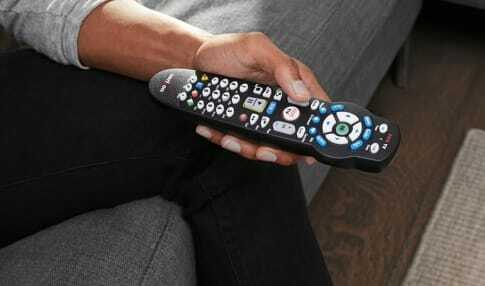 Choose a Fios TV plan that suits your needs. With Custom TV, pay for the types of channels you want, not the ones you don't. Choose from categories like Action & Entertainment, Sports & News, Kids & Pop, or News & Variety. Cheer on your favorite sports teams and stay up-to-date on the latest award-winning films with Extreme HD Package. Find your favorite shows in the best definition with up to 120+ HD channels. There’s never a dull moment with Fios Preferred HD. Get comedy channels like Comedy Central, sports channels like ESPN, and entertainment channels like MTV and TNT. You’ll always find something to watch and love. If you’re an entertainment junkie, this package is for you. The Fios Ultimate HD Package channels include premium channels so you can view even more. Love sports? Verizon Fios TV has you covered with two fantastic options: Fios TV Mundo and Fios TV Mundo Total. With Fios TV Mundo, you access the best in Spanish entertainment and sports, including ESPN Deportes and Telemundo. With Fios TV Mundo Total, you get every Fios TV Mundo channel along with your favorite regional sports channels. Fios TV is a sports-lover’s dream come true. If you’re an all-around fan, the SportsPass add on is the way to go: For an additional cost you can get NFL RedZone, which brings you Sunday afternoon touchdowns, plus the best NCAA broadcasts and additional channels for unique sports. Prefer one sport over the rest? Choose a sport-specific package like MLB EXTRA INNINGS, NHL CENTER ICE, and more. Spanish-language packages aren’t your only choice for international programming. Along with Spanish Fios TV, for an additional cost you can find Italian-, Hindi-, Punjabi-, Chinese-, and Portuguese-language channels and packages. In total, Verizon Fios TV offers 115 international-language channels, and the Spanish package alone offers 70 Spanish channels with several in HD. Savor award-winning shows with premium channels. Sports channels aren’t the only programs you can add on to your Fios TV packages. If you’re invested in shows like Game of Thrones, Outlander, and American Gods, you need the premium channels that bring your favorite content straight to your home. Whatever Fios TV package you have, it’s easy to add one or more channels to your Fios subscription to get more of the movies and episodes you want, when you want them. Introduce Alexa to Fios TV. Fios TV just got better than ever by partnering with Amazon Alexa to give you hands-free voice control. Once you integrate Alexa with your DVR*, you can use voice commands to channel hop—Alexa, switch to ESPN; Alexa, change the channel to Disney Channel—making your viewing experience as fun, fast, and simple as possible. Along with switching channels without a remote, Alexa can help you find videos On Demand, scan the channel guide, and rewind, pause, play, or fast-forward whatever you’re watching. Alexa + your Fios TV DVR is easy for anyone to use, child or adult alike. Are you ready to watch your favorite shows virtually anytime, anyplace? 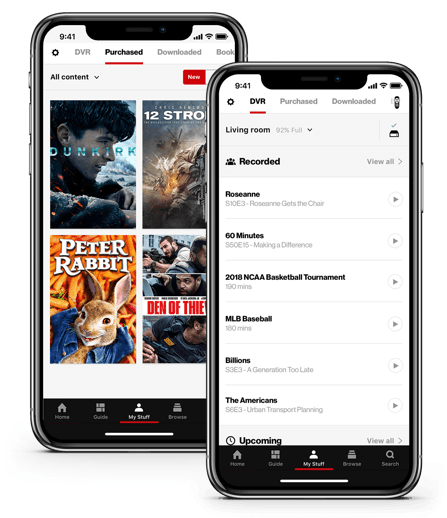 With the Fios TV app you can stream content—including saved DVR episodes, movies and TV shows on premium channels, live TV, and On Demand programming. You don’t have to wait until a tech arrives to set up your Verizon Fios services either. Download the app immediately after ordering, set up your account, and start watching. With all your favorite shows assembled in one convenient place, the Fios TV app is the only mobile streaming app you’ll ever want. Fios TV Voice Remote. Change channels, search for shows, or set up your DVR with just a few words. 4K ^ See Game of Thrones as it was meant to be seen. Netflix Integration. One of your favorite streaming services integrates seamlessly. Wi-Fi Connectivity. There’s no need for a coax outlet, so your TV can fit in your home anywhere. If you're anxious to start watching the next episode of Legion or the latest reality TV show, you don't have to wait until a tech arrives to set up your Verizon Fios services. Instead, download the Fios TV app immediately after ordering, set up your account, and start watching Fios TV immediately after you place your order. With the Fios TV app, you can also stream live TV, movies and shows on premium channels, On Demand, and saved DVR episodes, too. With all your shows assembled in one app, the Fios TV app is the only streaming app you'll ever want. Fios brings high-definition TV, Internet, and digital home phone straight to you, and it’s all thanks to the 100% fiber-optic network that gives your home the fastest and most reliable internet available‡. The more devices you have, the more you’ll want the 100% fiber-optic network. Upgrade your home with a Fios bundle today. See if you can get Fios in your state.